And I’m on schedule with my first post of the year on PopMatters. 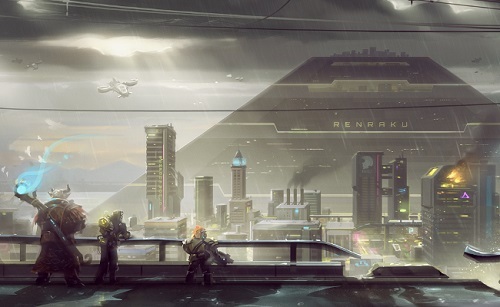 I decided to ease myself in with some easy writing about a game that has been consuming my time as of late, Shadowrun Returns. I bring up comparisons to Baldur’s Gate and Dragon Age: Origins with how it feel with its presentation of the game as an RPG system. It’s difficult to point out concrete elements in this area. All three games look and act very similar to one another and yet they feel like very different games with different purposes. The best way I can put it is with Dragon Age: Origins what do players focus on and remember? It is the Alister and Morrigan and Leliana. It is the characters and their history both behind them and in front of them. With Baldur’s Gate and Shadowrun Returns it is the campaign and/or the wide open possibility for adventure in an open space. The game is less about a fiction to be enjoyed than a system from which to derive fiction from so it can be enjoyed, if that distinction makes any sense. One is about being a whole work and presenting the feelings that work is meant to engender and the other is about getting the player to feel that tabletop spirit in a digital environment so then they can have the story carry them along. Dragon Age really couldn’t be anything but the story of the Grey Warden, while Shadowrun Returns could be any story. The campaign just happens to be this one. You can find my full post here on PopMatters.